Funky madness from the legendary Rhythm Makers – a dancefloor combo with a really incredible groove! The group has an approach that's a lot like Kool & The Gang at their best, or like some of the best mid 70s albums by the Kay Gees or Fatback – lots of bass at the bottom, very tight vamping by the band, and a wikki-wikki funky sound that's totally great! Many of the tracks on the set make good use of moog or keyboards – never too much, but just the right dose to spook things up a bit – and although many of the cuts have vocals, the overall focus is still in the instrumentation – which always comes across pretty darn great, and which is played with incredible precision throughout! 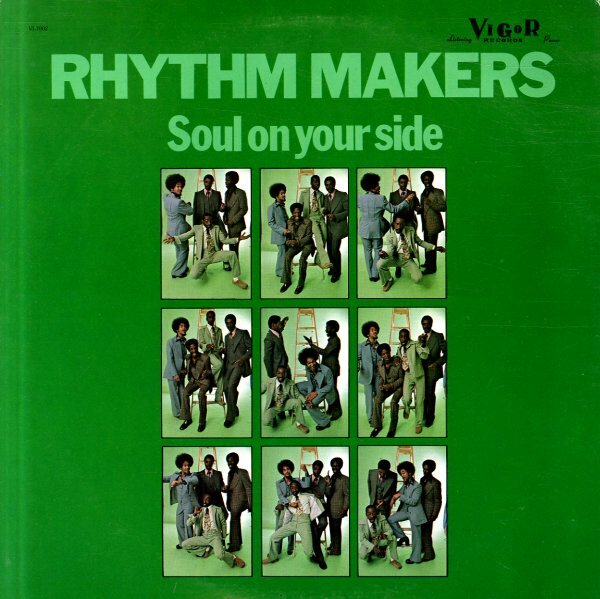 The combo later morphed into GQ, but they've got a much rawer sound here – and titles include "Can You Feel It (parts 1 & 2)", "You Better Believe It", "Soul On Your Side", "Zone", "Funk N You", and "Street Dreamin". © 1996-2019, Dusty Groove, Inc.